Again, the occasional, yet extreme demand for wool with good measurements (low mid breaks & good tensile strength) contributed to a mixed message out of this week’s wool market. The better types pushed the overall market to new levels while lower style wool battled to keep pace. This week only Melbourne & Sydney were selling resulting in the smallest offering for the year at just over 22,000 bales. Buyers were active and purchased 21,104 bales although 5.4% was still passed in. The EMI improved A$0.27 for the week while the easing A$ resulted in a more modest US$0.12 lift. Week–on–week comparisons showed that all categories (except 32 MPG) posted gains. However, in percentage terms it was again the medium Merino types that ended the week with the biggest lifts. AWEX reported that the week just past was the lowest offering of Merino fleece types in over 8 years. This is reflecting the demise of Merino flocks over the recent time. As Mecardo has previously outlined, this is a concern for the long-term sustainability of the Australian wool industry as continued lower supply must translate into reduced processing capacity. 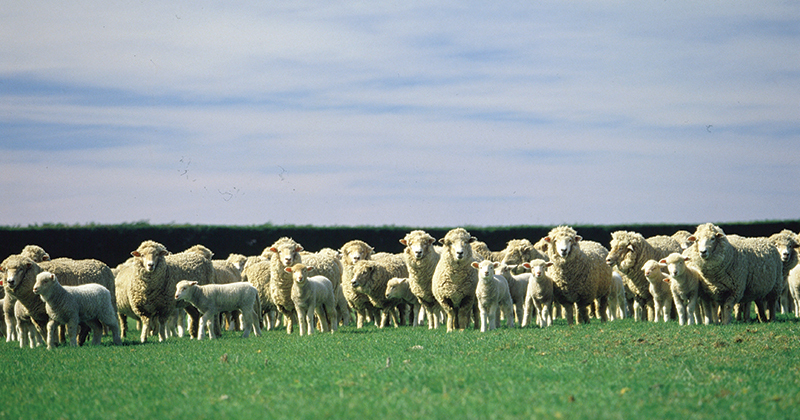 Over time this will see wool continue to lose its position in the fibre market on volume. The challenge then will be to position wool as an even more niche product. Impacting on the declining supply is the strong demand for sheepmeat resulting in lamb prices at record levels. As reported by Mecardo, with the big economies in Asia positioned to continue their appetite for Australian sheep & lamb encouraging sheep producers to continue their focus on meat this demand is likely to continue. Of course, a modern Merino flock is also taking good advantage of the high meat prices, so for those who have stayed the course with Merino sheep these are indeed good times. Next week Fremantle returns to the selling roster and a larger offering of 37,000 bales is rostered – figure 2. It is with some confidence that wool growers should approach wool sales as a softening A$ and tight supply is encouraging wool processors to compete strongly.